A national leader in legal education and property law will become The University of Toledo College of Law’s next dean, pending approval by UT’s Board of Trustees, University officials announced today. 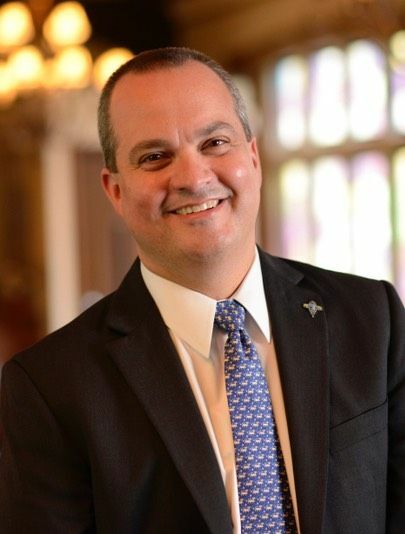 Benjamin Barros, associate dean of academic affairs at Widener University’s School of Law in Harrisburg, Pa., will be the college’s next leader following a national search. Barros said the strength of UT’s law school was one of the key components that attracted him to the position. “UT’s law graduates have some of the best bar passage rates in both Ohio and Michigan and a big part of that is unquestionably the stellar faculty that comprise the College of Law,” Barros said. “Faculty are regularly advancing national legal conversations in their published scholarship and are frequently the voices media at a national level reach out to for expertise. “The result is an alumni base that is very successful in the profession and holds many prestigious and influential positions across the country,” Barros said, also noting the college has positioned itself very competitively with its current tuition pricing. Barros also emphasized the importance of a continued partnership with the local legal community for the college and UT’s students. Prior to joining Widner University, Barros worked as an attorney at the law firm Latham & Watkins, LLP, and before that at Debevoise & Plimpton, both in New York City. He has taught at both Fordham University and Catholic University.